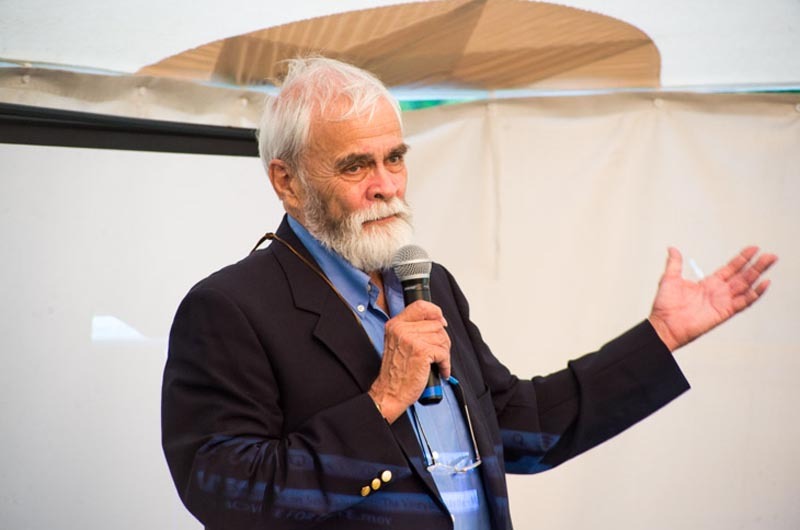 Sam Low was honored for his book about an ancient Polynesian canoe. Guests gathered for the fifth annual Walter Cronkite awards ceremony and reception on Tuesday, beneath an ivory tent on the front lawn of Karen and David Brush’s Edgartown home. The house, once belonging to the late CBS news anchorman, was a particularly special venue, but it was not the only trace of Mr. Cronkite’s legacy present on Tuesday night. 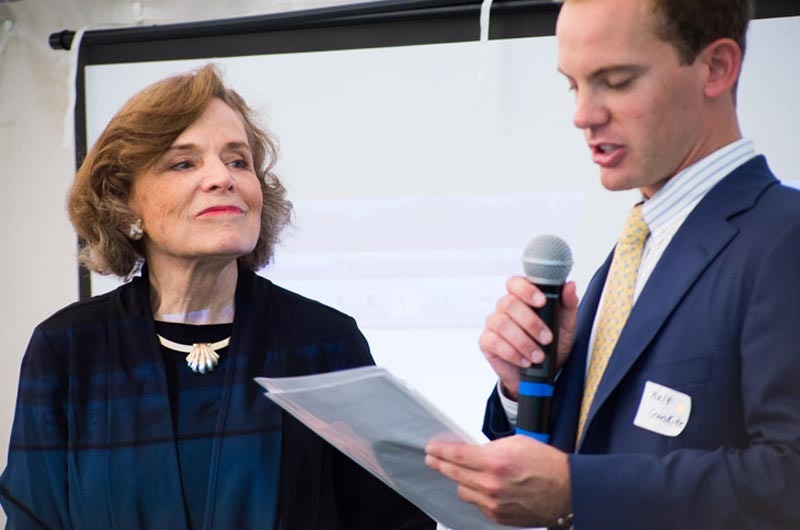 His grandson, Walter Cronkite 4th, now an associate producer for CBS News, was in attendance to present the awards to two distinguished guests: Sylvia Earle and Sam Low. The Cronkite awards are presented each year to people who have shown a commitment to using the media to create positive social change. This year’s theme was the oceans, a topic Mr. Cronkite cared deeply about as both a sailor and environmental advocate. 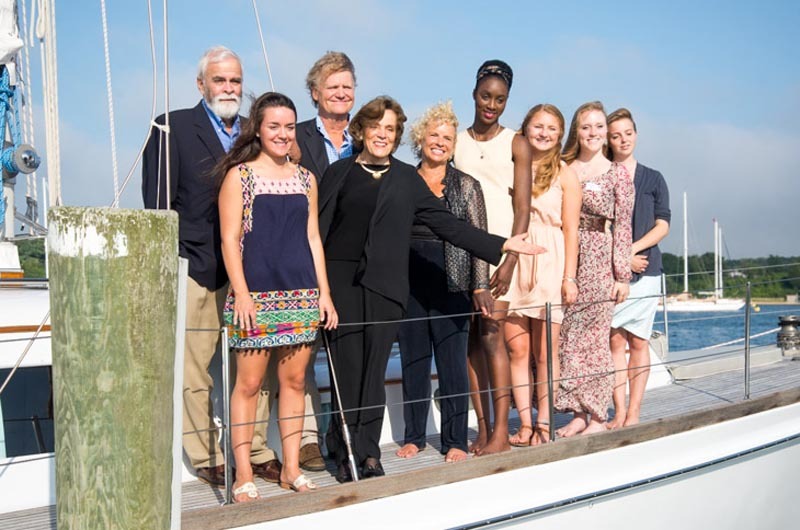 The event benefitted the Martha’s Vineyard Youth Leadership Initiative, a project of the Stone Soup Leadership Institute of which Mr. Cronkite was chairman for over a decade. Ms. Earle is a National Geographic Society explorer in residence. Aside from spending thousands of hours underwater in her lifetime and setting the record for solo diving at a depth of 1,000 metres, she also led the first team of female aquanauts during the Tekite Project in 1970. Now, she is the subject of Vineyard filmmaker Bob Nixon’s documentary Mission Blue, which premieres on Netflix on August 15. A prescreening of the film was held on Tuesday evening at the public beach in Menemsha. Mr. Low, an Oak Bluffs anthropologist, author, filmmaker and photographer, has won acclaim for his 2013 book Hawaiki Rising—Hokule’a, Nainoa Thompson and the Hawaiian Renaissance, about a group of Hawaiians who sailed the world in a replica of an ancient Polynesian voyaging canoe to connect with their culture and ancestry. Mr. Low was also the maker of 1983 film The Navigators — Pathfinders of the Pacific, about the Polynesian settlement of the Pacific. Mr. Cronkite 4th presented Ms. Earle and Mr. Low with their awards, which included a biography of his grandfather. Commendations from Hawaii Gov. Neil Abercrombie were read aloud, thanking Ms. Earle and Mr. Low for their commitment to the environment. On stage, the award recipients shared their gratitude for the honors they were given. Mr. Low expressed similar gratitude as he reflected on the experiences that earned him the accolade. 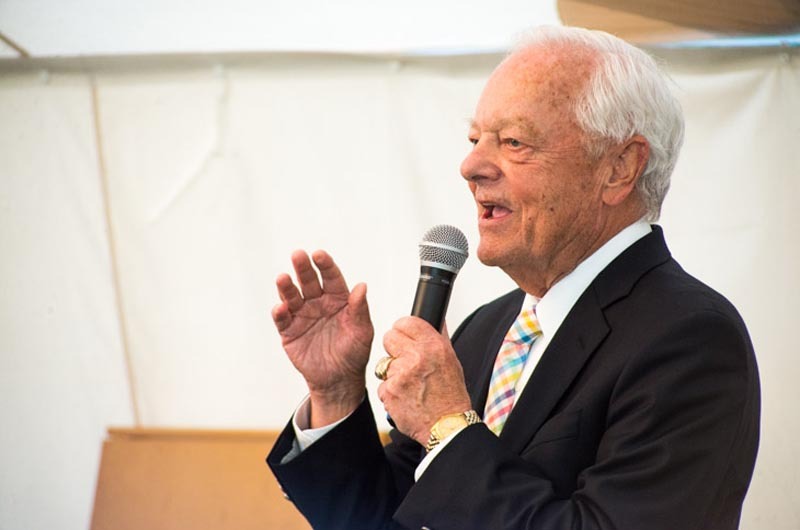 Bob Schieffer, moderator of Face the Nation, and Christopher Callahan, founding dean of the Walter Cronkite School of Journalism and Mass Communication at Arizona State University, were keynote speakers. Mr. Schieffer shared anecdotes about working with Mr. Cronkite as a young journalist at CBS. To wrap up the night, several of the eight members of the youth leadership initiative went on stage to speak about their experience in the program. Marianne Larned, who leads the programs as executive director, and Marsha Reeves-Jews, president of the Stone Soup Leadership Institute board of directors, also spoke. The ceremony was followed by a reception on the lawn of the Brush residence overlooking the Edgartown harbor.